﻿In Part One we met Hannah and Paul and were allowed a sneak peak at their plans for their Golden Mile beach club wedding. Today we find out ALL the details about their big day. The poolside ceremony took place at sunset and Padre Peter went down a storm with the Irish guests. Singing duo, Simone and Mike set the tone by serenading the guests with ‘Happy Days’ as guests took their places. The bridal party walked down the aisle to ‘Everybody’s Free’ from Romeo & Juliet, then Hannah and her father appeared as the first notes of Etta James’s ‘At Last’ played out. 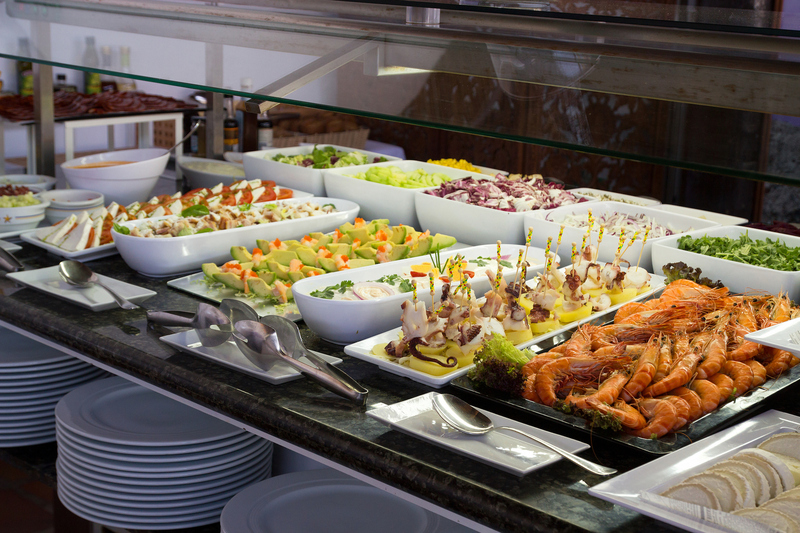 After the ceremony guests enjoyed listening to Ibiza chill-out music while sampling local Andalusian canapés. They were then taken from the pool area to the luxurious restaurant where they feasted on a five-star buffet. 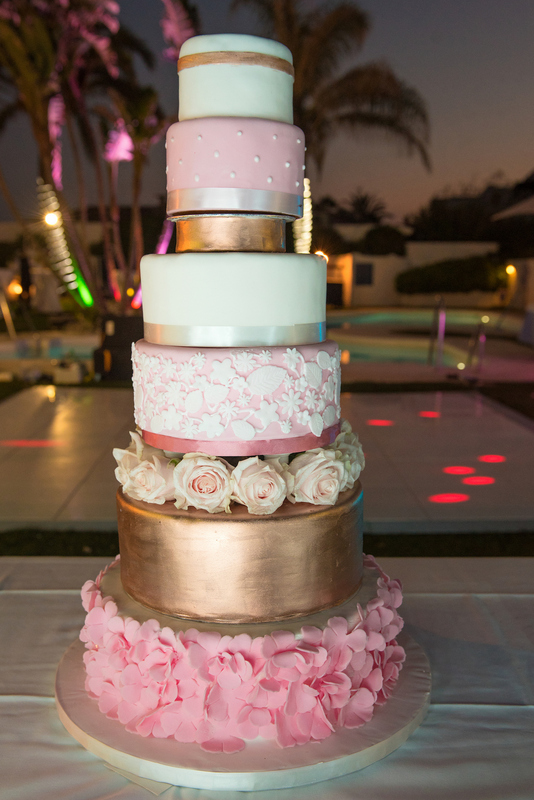 As always Omaya worked her magic to create a breathtakingly beautiful wedding cake. 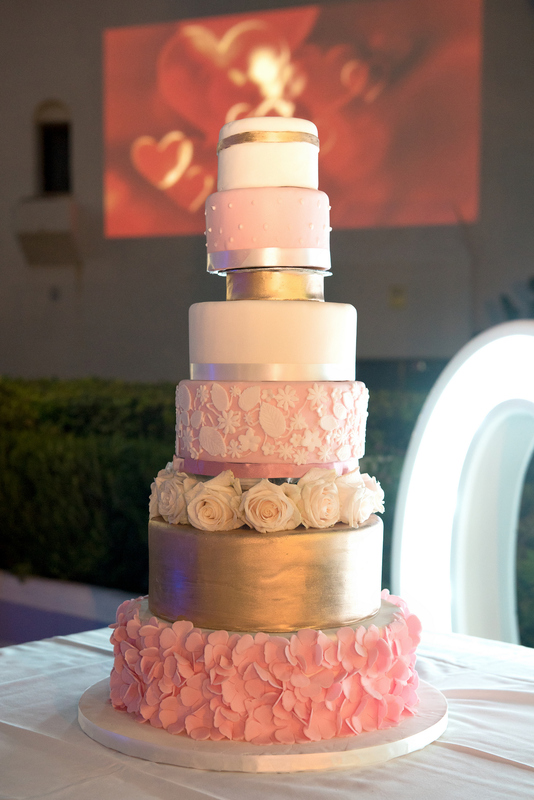 This seven tier, pink, gold and white extravaganza was full of contrast. Opulent florals, metallic accents and ruffled textures worked together to make a striking sweet statement piece. While the meal took place the Sunshine Weddings Spain team set about transforming the gardens. Illumination is everything when it comes to elevating a space to something extraordinary. 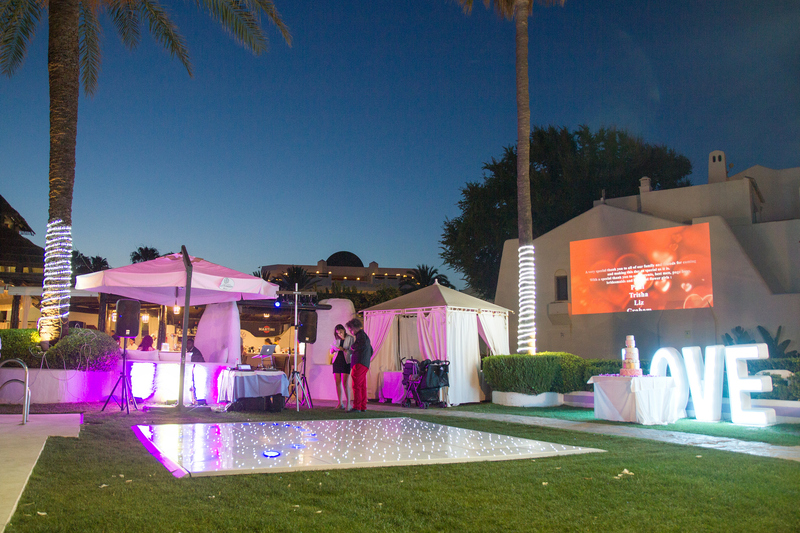 Palm trees were highlighted by luminous pin-spotting, a larger than life LOVE sign brightly declared the couple’s affection, personal photos were projected on walls and the white LED dance floor helped set the romantic atmosphere. The memorable first dance was to Elvis’s, ‘I Can’t Help Falling in Love’ and as the couple took to the dance floor the sky lit up with fireworks. This was quickly followed by ‘Jailhouse Rock’ and everyone flooded onto the dance floor. Guests partied to the early hours and our team went home tired but very happy from another successful event.